The final edition of “Thai Fight” for 2018 is scheduled for December 22 in Nakhon Ratchasima, which is one of the four major cities of Isan, Thailand. 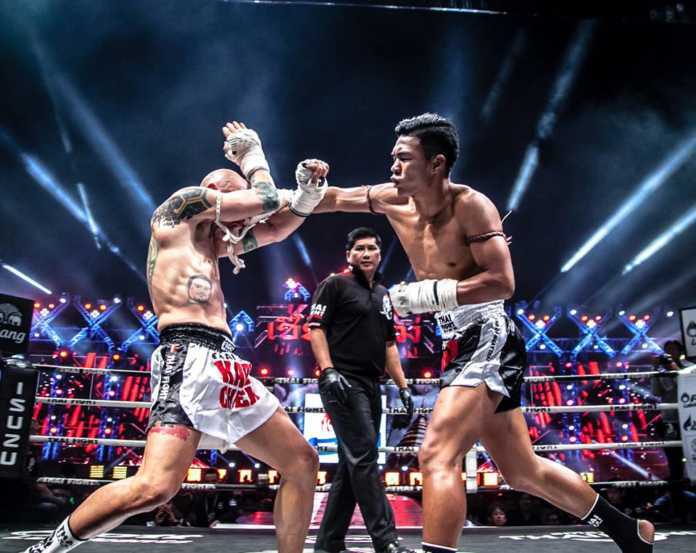 Muaythai event features the championship round of four knockout tournaments, Top Sangmorakot told FIGHTMAG on Monday. The roster includes the winners of semi-final bouts which were contested this past Saturday (Nov. 24) in Saraburi. In addition, the card at Thai Fight Nakhon Ratchasima will include a series of superfights. Among the bouts, famed Muay Thai fighter Saenchai is scheduled to face Jamal Madani in the final round of 67 kg tournament. His country-fellow Satharnfah is set to take on Bobur Tagaev battling it out in the 70 kg finale. Payak-Samui is expected to square off against Yurik Davtyan in the final bout of the 72.5 kg tournament. In addition, Saensatharn is lined up against Oleksandr Moisa in the 70 kg finale in Kard Chuek, where instead of boxing gloves the rope is used around hand and forearm. A complete fight card is expected to be announced in the coming weeks. The current lineup can be found below.